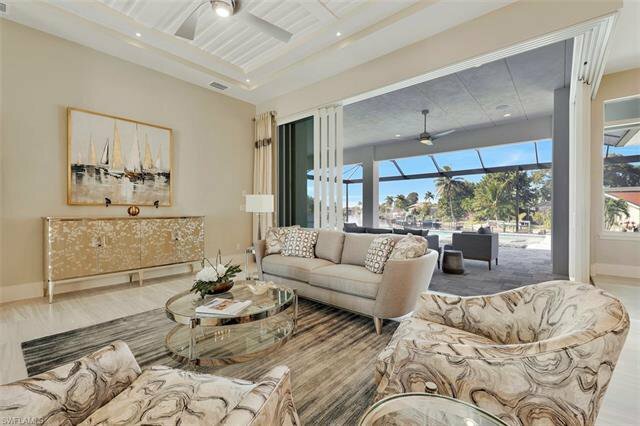 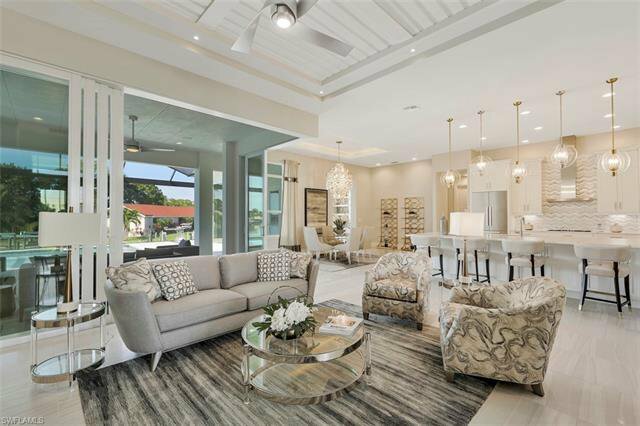 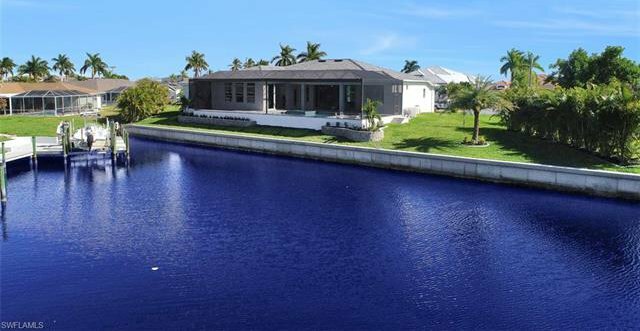 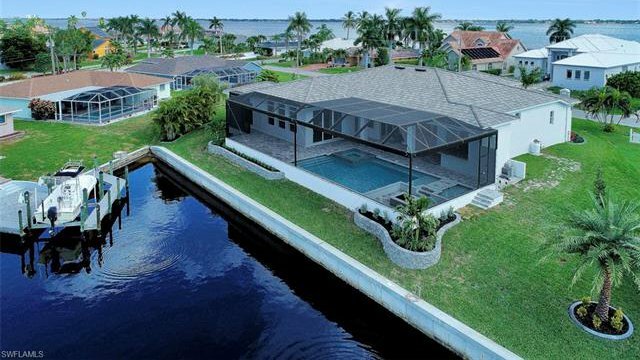 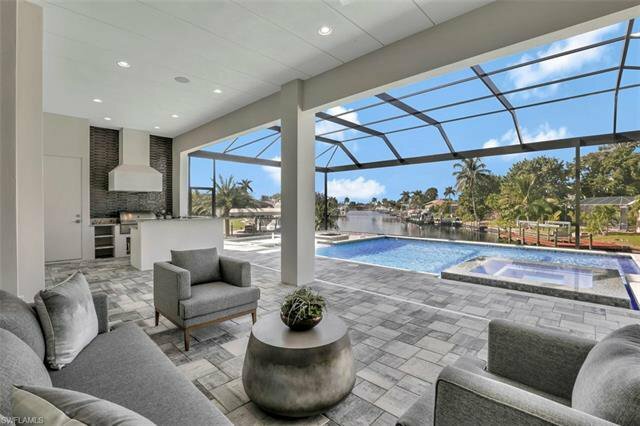 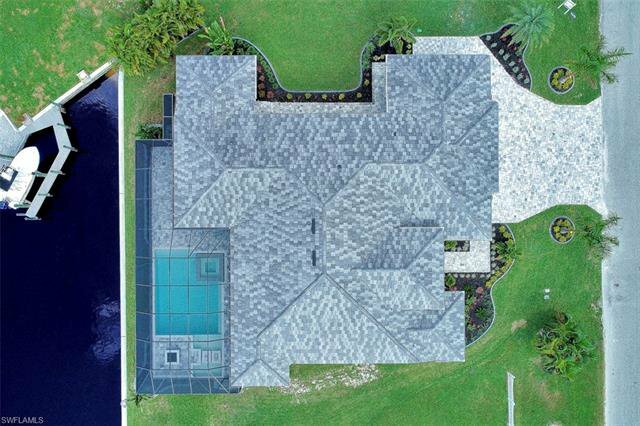 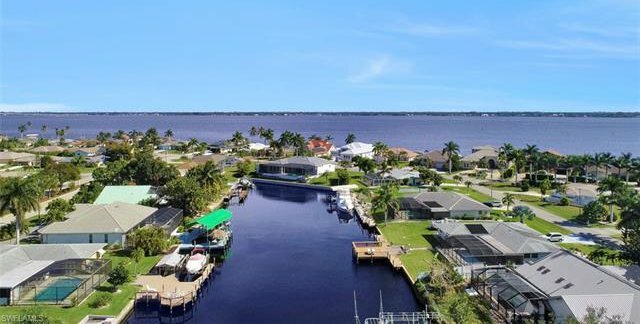 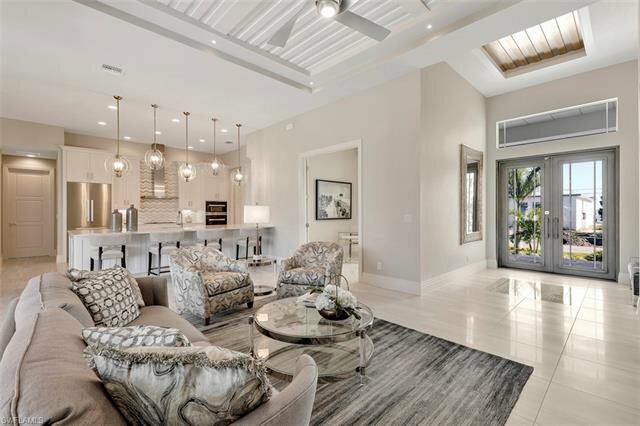 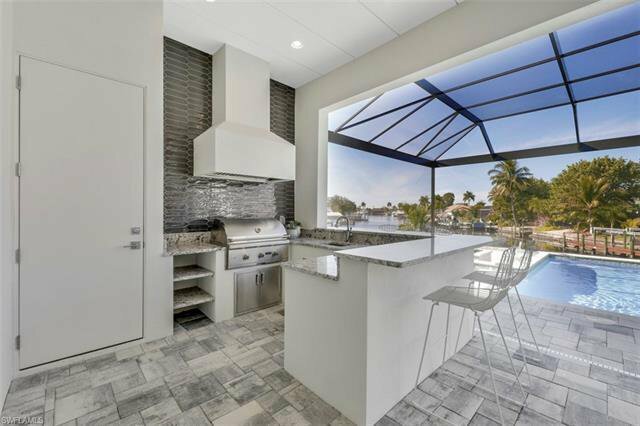 Award Winning Builder's new Floor Plan is ideally situated in SE Cape Coral’s Savona neighborhood on an exclusive direct gulf access triple lot with 173’ of canal footage with a desirable Western Exposure. 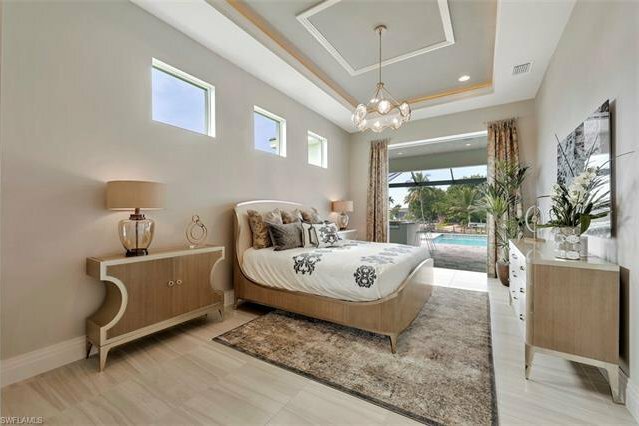 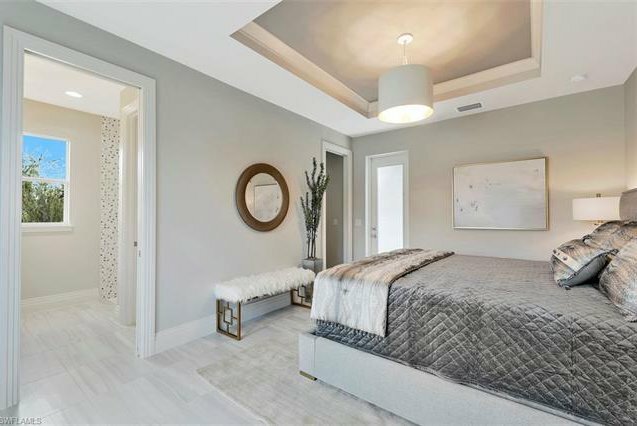 This lux contemporary style home includes 2 Master Suites and 2 guest bedrooms, a study with 3.5 baths and 4 car garage. 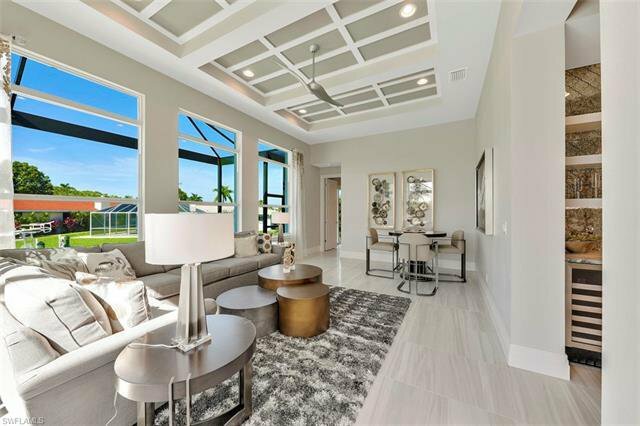 Walk among lush landscaping and a paver drive to enter through a custom iron door to an open concept great room & dining area. 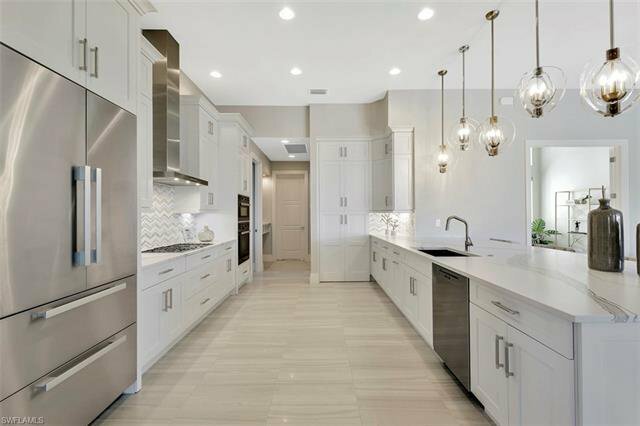 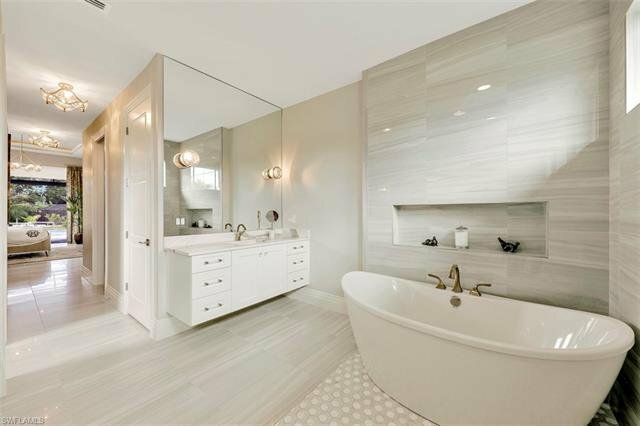 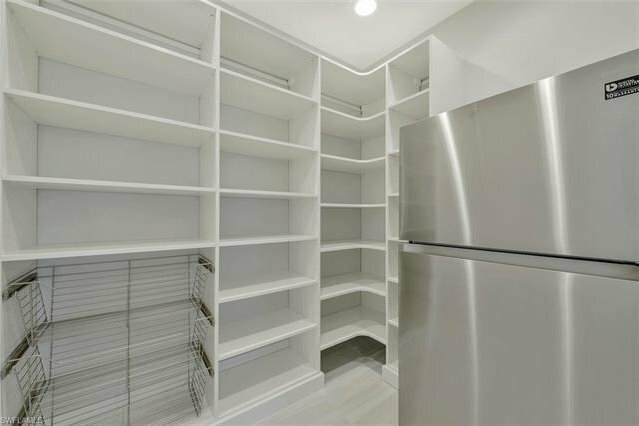 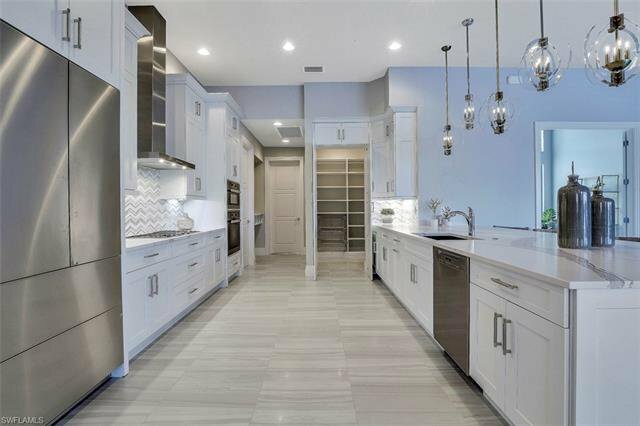 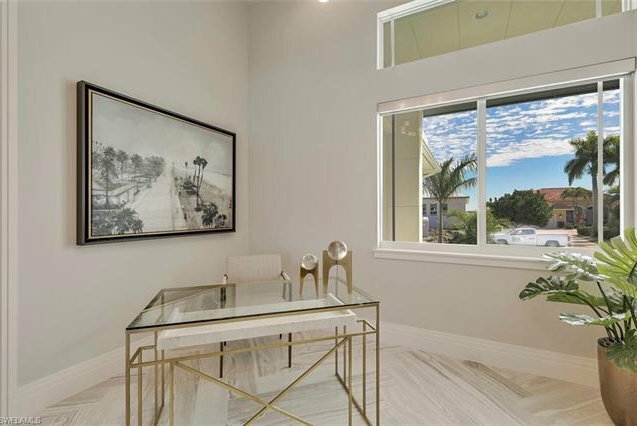 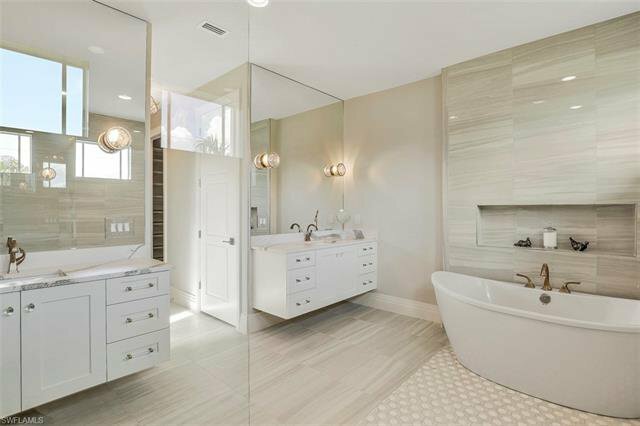 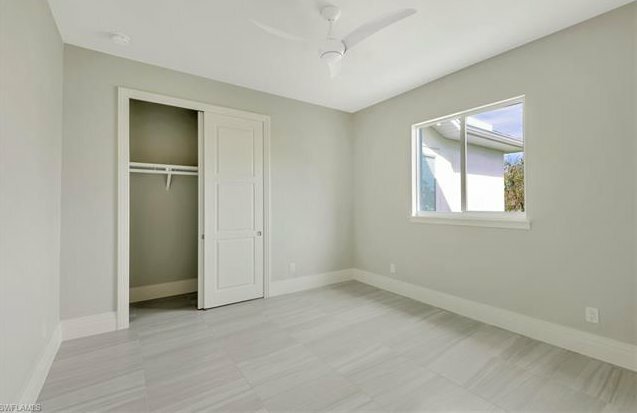 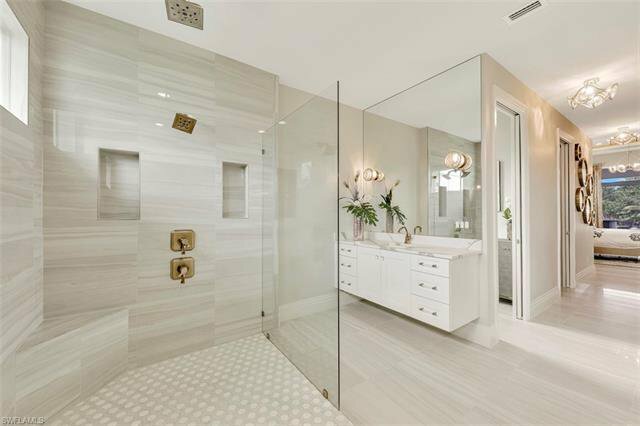 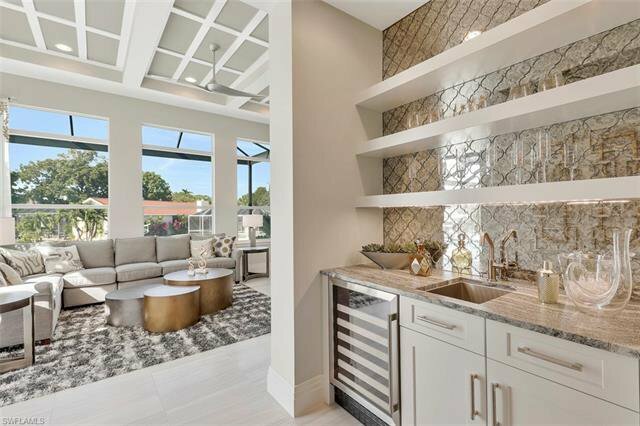 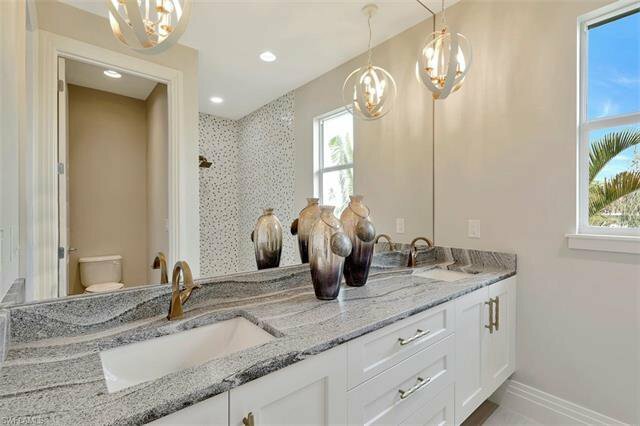 Inside this high end home abound upgrades and rich finishes such as exotic stone flooring throughout, kitchen with hidden pantry and all wood cabinets, including wet bar and Cambria countertops. 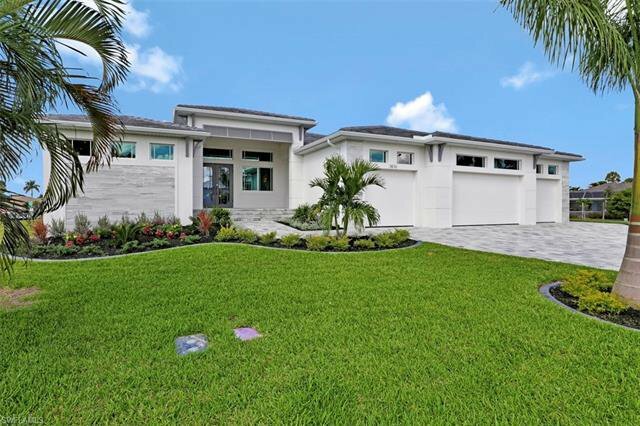 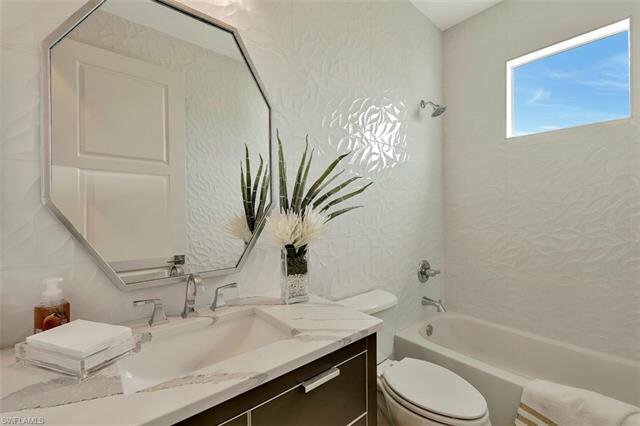 This home boasts a smart technology automation system & upgraded trim details. 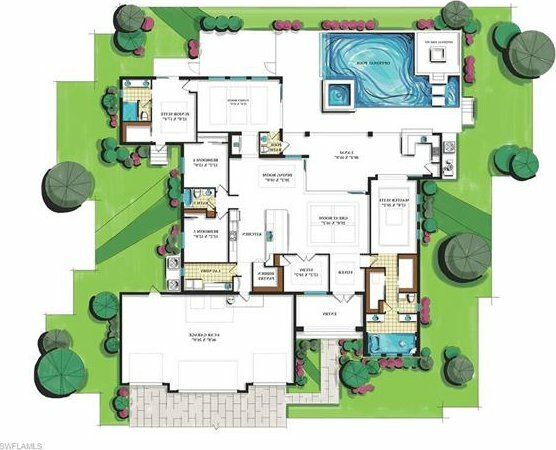 The 90 degree sliding glass doors open up to an expansive summer kitchen, gas fire pit, custom pool & spillover spa with huge paver deck. 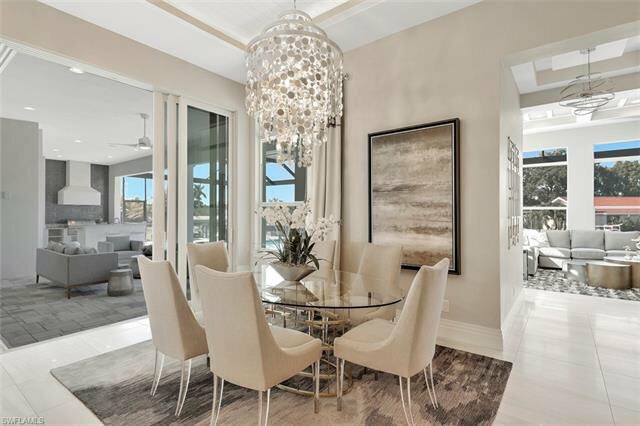 Enjoy the designer lighting throughout and furniture selections, as well as Miele Appliances. 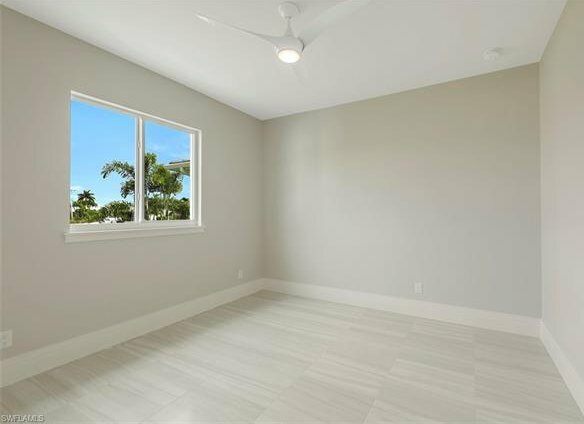 Also notable are the energy efficient features like impact low E windows, R-38 insulation & 16 SEER A/C Systems. 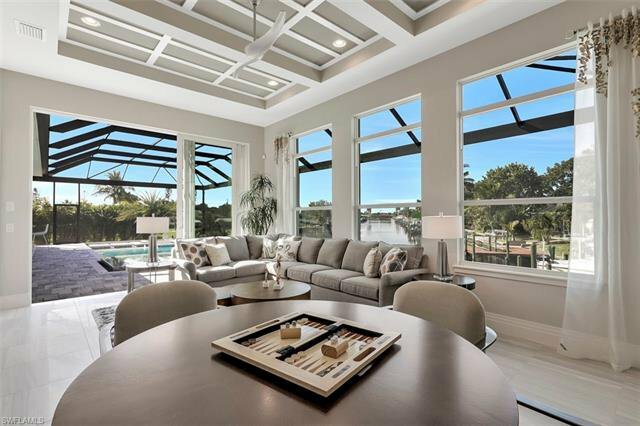 Retreat to this luxurious FL home & your vacation will never end! 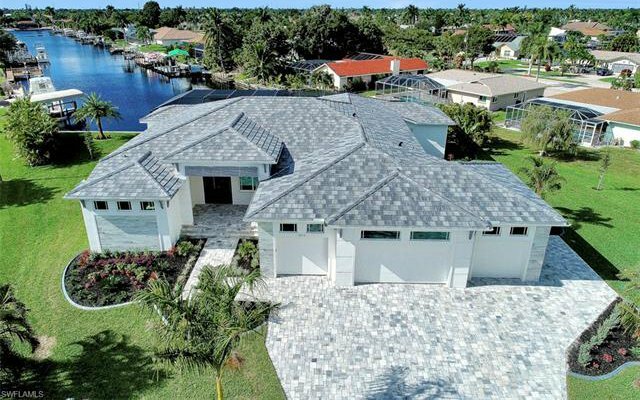 Completed January 2019. 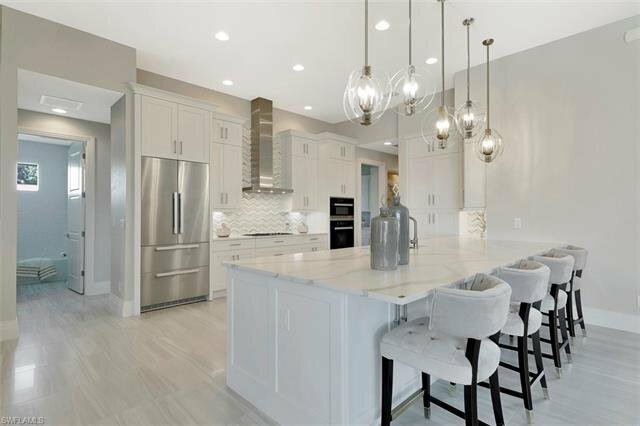 Listing courtesy of William J. Edwards Realty LLC.